This Special Report shows you how to take full advantage of a range of tax and National Insurance-free benefits. It contains numerous tips on putting the HMRC-approved schemes into practice. Plus, it tells you which traps to watch out for. 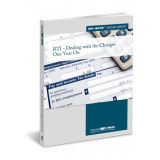 With this Special Report at hand, you can start saving tax and cutting your costs in no time! You'll also get a stack of complementary documents which you can download and adapt to suit your circumstances.